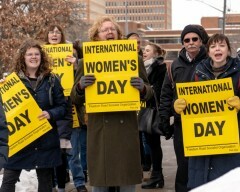 FRSO International Women’s Day rally in Minnesota | Fight Back! 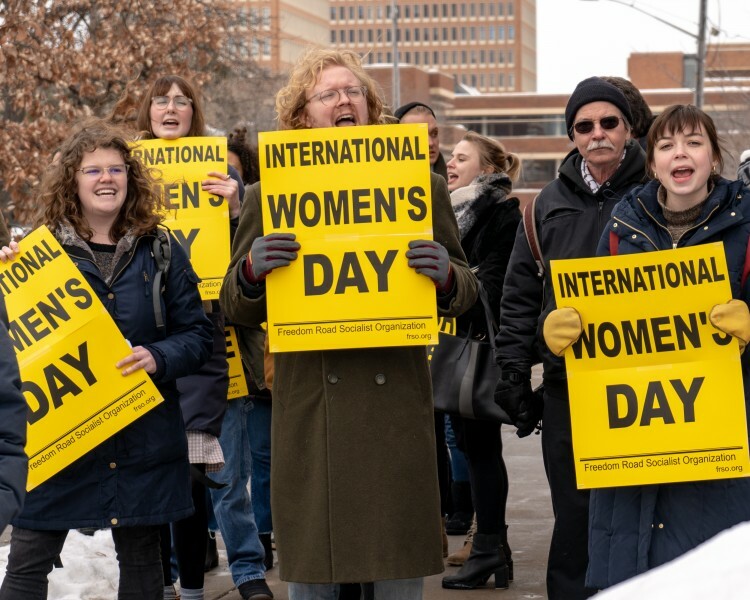 Minneapolis, MN - On March 9 Minnesotans rallied to celebrate International Women’s Day, in the West Bank neighborhood of Minneapolis, renewing their commitment to the struggle for women’s liberation and against exploitation. Roughly 60 people, union leaders, community members and students defied the threat of a blizzard to remember the sacrifices of women in the past that set an example for how to build a better world. Organizers spoke on the historical oppression of women in the country and internationally, including the current situation of barefaced attacks on women and the LGBTQ community from the misogynist Trump administration. A strong selection of speakers addressed the historical gender-based oppression imposed by U.S. wars, lack of punishment for sexual assault, the inhumane treatment of immigrants and male-dominated workplaces. The rally was organized by Freedom Road Socialist Organization with the endorsement of eight other community organizations in the twin cities.